There are now seven candidates vying to be the next Texas House speaker, but despite the crowded field, political experts believe the more conservative Republican House members will likely receive the most votes when the session begins in January. At the beginning of the 2019 legislative session, members of the Texas House will elect a speaker to lead them for the next two years. Several candidates have stepped into the contest, and the newest contender is Republican State Rep. Four Price from Amarillo. He joins five other Republicans and one Democrat. Mark Jones, political science professor at Rice University, said the next speaker will be more conservative than the last one: Joe Straus, a San Antonio Republican. “We’re certainly going to get someone who is more conservative than because you’d have to get a Democrat who's less conservative,” Jones said. Jones said this next election will also be different. House Republicans will debate and vote in private before the full House votes. “The decision by the Republicans to have an initial vote in the caucus is causing the moderate or centrist Republicans to begin jockeying for position. Their goal is going to be to try pick off enough support in the middle of the caucus to carve out the majority that they would like to have,” Jones said. But Jones said if Republicans choose a far-right candidate, that might lead to resistance among House moderates, ultimately leading to the election of another moderate speaker, which is what happened in 2009. “This group of Republicans will side with Democrats to repeat 2009, where an alliance of a small number of Republicans sided with a majority of Democrats to elect Speaker Straus,” Jones said. Trey Martinez Fischer, a Democrat trying to win back his old San Antonio seat, said Democratic support for the next speaker is every bit as important as what the House Republican caucus decides. “It is mathematically impossible for anyone to be elected speaker today, given the number of people in this race without considerable support from the Democrats,” Martinez Fischer said. Martinez Fischer would also like to speed up the process for selecting a candidate. He has urged any prospective candidates to announce their intentions as soon as possible and to push for debates and a vetting process before lawmakers return in January. “So we really have less than 60 days from the time the elections come, to the time members take the oath office to get things done. There’s no realistic way to try to have a discussion about who is going to be the next leader of the Texas House in that timeframe,” Martinez Fischer said. Four Price joins Republicans Travis McClardy, Tan Parker, Drew Darby, Phil King and John Zerwas, and Democrat Eric Johnson in the speaker's race. 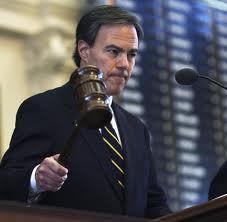 Straus Announces He Will Not Seek Reelection, So What's Next? Texas House Speaker Joe Straus’ announcement to not seek reelection in 2018 and therefore ending his career as House Speaker could mean new political chapter for the San Antonio Republican. But it could also mean certain doom for House Democrats in 2019. 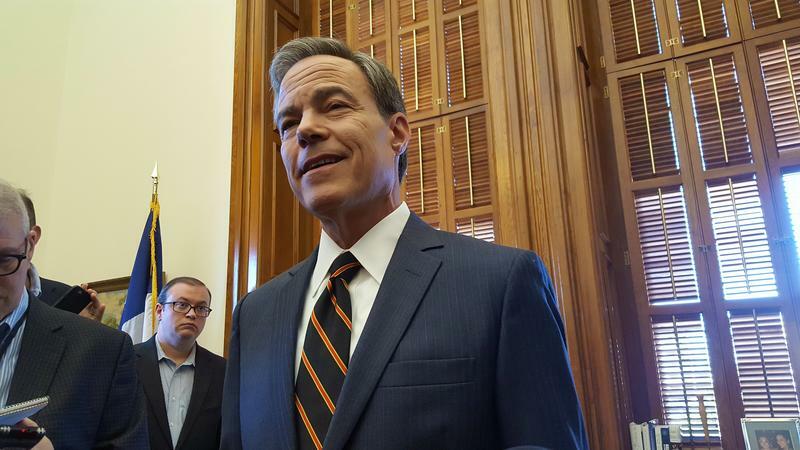 After serving five terms as House Speaker, Straus says he will not seek a sixth term, which would’ve made him the longest-serving Speaker in the state’s history.